As we have mentioned many times on this website, slots are the most diverse casino genre on in the sphere of online gambling. There are slots for every time of player, both in terms of theme and in gameplay. While the slots genre mostly varies thematically, there are certain functional differences as well. For example, the first slots to come out at the dawn of the online gambling industry were quite basic and worked only so well as to get the job done. Nowadays, technology has developed so that players can not only have the opportunity to gamble their money but to also enjoy themselves while they are at it. Graphics and visuals play an incredibly large role in this and it is hardly surprising. Considering that you are looking at the screen the entire time, odds are you want to be starting at something that looks good. Of all the slots to come out over the last decade, games with 3D graphics have received the most attention from fans of the genre. They offer high-quality three-dimensional visuals that are simply a joy to behold and are able to shape the experience for the better. Not only are they pretty to look at, but 3D graphics also immerse players into the game itself. Granted, there are thousands of unique games out there and it is not reasonable to expect you to know every one of them. That is why, for your convenience, we have prepared a list of the best three-dimensional slots currently available at modern online casinos. Not only do we give you the names of the games, but we also go into detail about specific gameplay features that the title has. So if you are interested, read on. 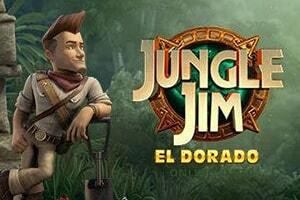 Jungle Jim: El Dorado is one of Microgaming’s most prominent slots, featured at just about every online casino that works with this software provider. Ever since it came out a few years prior, this game has cultivated a significant player base and now stands as one of the most appealing titles on the market. It stands out with its intriguing adventure theme and immersive graphics. Microgaming has certainly put in a lot of effort to make their game as beautiful as possible and you will certainly be able to appreciate this. As for gameplay, there are many features that come with Jungle Jim. Wilds and Scatters are present, though that is only the tip of the iceberg. The Rolling Reels feature gives you the opportunity to turn winning combinations into multiple wins, while the Multiplier Trail will increase your winnings up to 5x during the base gameplay and up to 15x during free spins. Speaking of free spins, you can trigger 10 of them by spinning 3 or more Scatters anywhere on the reels. Free spins can trigger additional free spins, again by hitting 3 Scatters. Overall, Jungle Jim has it all – a solid gameplay loop and excellent visuals. It is arguably the best that you can ask for in an online slot and you should certainly give it a shot. Another entry courtesy of Microgaming, Frozen Diamonds has not received the recognition it deserves. It portrays a beautiful and calming frozen wasteland, while various high cards and diamonds cover the reels. There is something serene about playing this slot that one cannot simply explain. Part is due to the atmosphere of the game, with relaxing background music and the immersive visuals. The reels come alive on your screen and you will no doubt be mesmerized by the buttery-smooth animations. 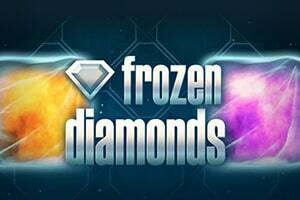 When it comes to gameplay, Frozen Diamonds is no different from the average slot game. It features 5 reels and 20 paylines, as well as decent betting limits. Players can be up to $2.00 on each line, which makes for a maximum wager of $40. The Star symbol serves as a Wild and will stand in for any other symbol on the reels, there is no Scatter to be found in this title. You trigger free spins simply by scoring winning combinations. Spinning 3 or more wins will trigger between 5 and 10 free spins on a random basis. The Bonus Falls feature will allow you to multiply winnings combinations. More specifically, whenever you trigger one, the symbols involved may fall and give way for new random symbols to take their place, thus giving you the opportunity to score even more wins. Of course, we cannot also ignore the Gamble feature, which allows you to risk your winnings for a chance of double them. A NetEnt classic, Dracula has been a fan-favorite title for many years at this point and it still remains at the top due to its sheer excellence. Not only is this slot fun to play but it is also a pleasure to look at. The symbols are beautifully drawn, while next to the reels you will notice the 3D rendition of Dracula, watching you menacingly. You will certainly feel the vampire’s presence whenever you score a win or simply spin the reels. On the gameplay side of things, Dracula comes with 5 reels and 40 paylines, along with loose betting limits, with bet values going as high as $200 per spin. Granted, you may never play at the limit, though it is nice to have the opportunity to do so. 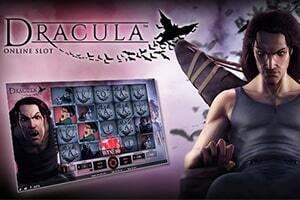 Dracula comes equipped with all necessary features for a modern slot game. Wilds and Scatters Auto-Play a given, though what is truly impressive are the Stacking Symbols. Wilds can stack during the free spins on the third reel, while Dracula and the Lady can appear stacked on the second and fourth reels, respectively. When they both appear stacked, you will be granted a round of 10 free spins. The Bat Feature is activated randomly and when it does, a bat will land on certain symbols, turning them into Wilds. During the free spins, the Bat will appear on every spin. If you have not had the pleasure of playing Dracula, then we recommend that you look for this game the next time you load up your online casino. It has excellent gameplay and even more impressive visuals. Yet another top-tier NetEnt title, Gonzo’s Quest has cemented itself as a top-tier game in the online gambling industry. Players have also grown quite fond of it over the years, primarily due to its captivating theme and aesthetic. Not only that but the gameplay is also quite fun and the high 96% RTP makes this one of the most worthwhile games on the market. 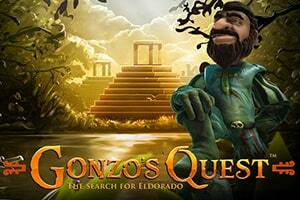 Gonzo’s Quest features the usual 5 reels covered by 20 individual paylines. Betting limits are generous, allowing for up to $50 per spin. This slot does not include any convoluted mini-games, preferring to deliver the experience purely through the base gameplay. There are two special symbols – the Wild and the Free Fall. The Wild serves its usual function, while the Free Fall is more like a Scatter. For every 3 Free Fall symbols on the same payline, you will activate 10 Free Fall or in other words, free spins. For every additional Free Fall round that you activate, you will gain the benefit of a winnings multiplier, going as high as x15 on the fourth Free Fall round. Free Fall can trigger further Free Fall rounds by spinning the appropriate symbols. Finally, we come to the Avalanche feature. For every winning combination that you score, the game will trigger an additional spin and apply a winnings multiplier. This multiplier can go up to x5 on the fourth Avalanche. Neon Staxx has arguably one of the most interesting aesthetics in the whole online slots genre and players are certainly intrigued by it. This NetEnt slot features a Tron-style theme, presenting the reels grid in the style of the old science-fiction movie. The game includes 5 reels and 40 paylines, allowing you to form more winning combinations than the average slot. Moreover, you can bet up to $100 per spin, allowing both casual players and high rollers to take part in the fun. The primary feature of Neon Staxx is SuperStaxx, where on each spin there is a chance for certain symbols to appear stacked on the whole reel. The selection is random and every predator symbol can be stacked. This feature allows you to score some impressive wins if your luck is good enough. Additionally, there are also Wild and Scatters. The Wild symbol is the most profitable and it also stands in for any other symbols on the reels. Spinning 3 or more Scatters will trigger up to 20 free spins, depending on the number of symbols involved. During free spins, a high symbol or the Wild will be selected on random to be the stacked symbol for the duration of the round. This can translate into some very significant winnings, as SuperStaxx will trigger more frequently during free spins. 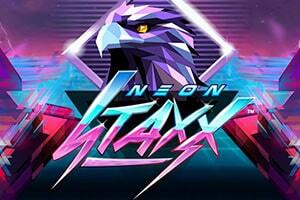 Overall, Neon Staxx is exactly what you want in a slots game. Good visuals combined with simple and satisfying gameplay. The title is quite entertaining and we recommend that you give it a shot. Inspired by the hit History Channel show of the same name, Vikings brings you back to Medieval Scandinavia. Released in late 2018, this game represents the best that the online gambling industry has to offer. The theme is top-notch with visuals to match it. NetEnt have really outdone themselves with this one and we are happy to present it to you. This game includes 5 reels but does not use the traditional payline system, rather it implements 243 ways to win. Furthermore, Vikings comes with a variety of gameplay features that will make your experience much more enjoyable. Free spins are one of several, triggered when you spin 3x Three Raid Spin symbols. During Raid Spins, the game unlocks two additional reels and adds two extra rows. Furthermore, two additional hotspots will be added on the grid, giving you better odds of triggering the Hotspot feature. Another is the Hotspot feature, which includes a hotspot in the middle of the reels. Once a stacked Viking symbol lands on the hotspot, all other Viking symbols are transformed to the one in the middle. There are many other smaller features that you will no doubt appreciate. Overall, Vikings is a perfect example of how advanced modern slots have become and so far, players report good experiences with the title. 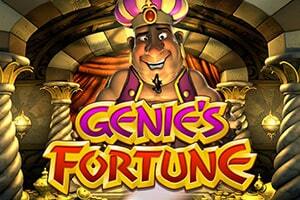 The first Betsoft entry on our list, Genie’s Fortune has been around for quite a while at this point. While it does not have the best textures, the 3D animations are some of the best-looking out there and the style of the game has aged very well. There 5 reels in this game, covered by 30 paylines. If you are a high roller, Genie’s Fortune will be right up your alley. The maximum wager goes as high as $300 per spin, which is more than most slots will allow you. The gameplay is no less interesting either. High paying symbols are more than worth it, with the largest paying 2,000 for a 5x combination. The Wild symbol comes in the form of a magic carpet and if you land it on the first reel, you will trigger the Magic Carpet Feature. The Magic Carpet will travel to the rightmost reel and smash any symbols in its way, turning them into cash prizes. If you instead land the Monkey symbol right in the middle of the grid, the Click Me Crazy! feature will start. Once you click the Monkey enough times, it will jump away and leave you with cash prizes. If you have been wonder about free spins, rest assured that Genie’s Fortune has not neglected this aspect of slots gaming. Hitting 3 or more Treasure Chest symbols can grant you up to 20 free spins. Entering the realm of fantasy, Forbidden Throne is one of the most interesting games to come from Microgaming in recent years. The fantasy theme is a little underrepresented in online slots and we are happy to see a great addition to it. Forbidden Throne is popular with the player base for a variety of reasons. The graphics are certainly impressive and they breathe life into the game’s aesthetic while the animations make the experience a feast for the eyes. The betting limits allow any kind of player to enjoy this title, with them ranging between $0.40 to $200 per spin. As for gameplay features, Forbidden Thrones has plenty of those. Free spins are available from the get-go and all you have to do is spin 3 or more Scatter symbols anywhere on the reels. Granted, the more Scatters that you hit, the more spins you will receive up to 30. Additionally, Wild Reels also make significant contributions to the entertainment value of the game. On every spin, one or more reels will turn into a large Wild symbol, allowing you to form many more winning combinations. 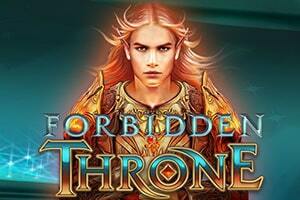 Overall, Forbidden Throne is quite simplistic in its gameplay and does not go overboard with useless features. It offers excellent and entertaining gaming and that is exactly what we want in a top-tier casino game. Vikings Go To Hell is an interesting slot game developed by Yggdrasil Gaming, one of the smaller software providers in the online gambling industry. While this company is not the largest, its games can match the quality of any other in the business. This is best exemplified in Vikings Go To Hell. To begin with, this game features 5 reels and 25 paylines upon which you can form winning combinations. 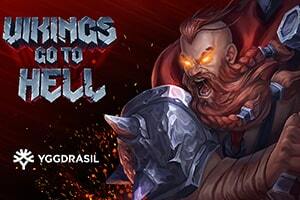 Vikings Go To Hell includes all of the typical symbols, Wilds, Scatters (dubbed Free Spin symbols), Sticky Wilds, etc. Hitting 3 or more Scatters is the key to unlocking a round of up to 16 free spins. If you land only 2 Scatters, you will be rewarded with Wilds or Vikings Rage, as well as a respin. 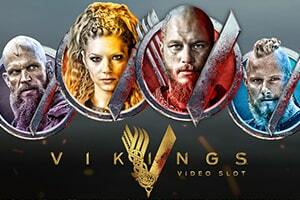 Vikings Go To Hell portrays four Viking characters, each with its own individual rage bar. Spinning symbols associated with a particular character will cause them to engage in action and increase their rage bar. The more rage you gain on a character, the better rewards you will unlock when that character interacts with the game. This is an interesting concept and it really adds to the uniqueness of this title. Granted, some of this might cause you to feel overwhelmed at first, but you will quickly get the hang of it after a few spins. 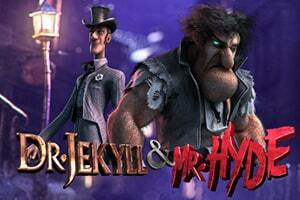 Dr Jekyll and Mr Hyde comes to us courtesy of Betsoft and the developers have certainly outdone themselves. Inspired by the book of the same name, this slot game is one of the better adaptations that we have seen in the online gambling industry. Colorful and bright, Dr Jekyll and Mr Hyde does an excellent job at establishing its atmosphere and immersing you into its world. As for gameplay, the game has 5 reels and 30 paylines. Dr Jekyll and Mr Hyde have their own specific symbols, which interact with other symbols once certain conditions are met. When the Dr Jekyll symbol lands on the third reel and there is a red potion next to it, it will cause the Jekyll, Hyde and logo symbols to become Wild Hydes and randomly mix all symbols on the reels, giving you another chance to form winning combinations. When the Mr Hyde symbol lands on the third reel next to a blue potion, you will receive a bonus valued at 5x to 20x of the triggering bet. The potion symbols also have interactions of their own. There are two meters for Free Spins Mode which can be filled up by collecting red potions, with each potion valued at 1/10 of the meter. During Free Spins Mode, you collect blue potions, each filling ⅕ of the meter. Once you collect enough potions, Free Spins Mode will end and you collect any winnings you amassed during it.